Ashkan Yekrangi is passionate about immigration. Himself an immigrant, Ashkan understands the American Dream and interacts with each of his clients knowing what it means to become a citizen of the United States of America. There are many hurdles individuals face while either traveling to, or attempting to establish residency in the USA. This may be for a business or tourist visa, or establishing residency for yourself or your loved ones, or obtaining a green card. We are here to help you navigate this confusing process. Ashkan attended the University of California, Irvine, earning a bachelor's degree in International Studies. As an undergraduate student, Ashkan owned a business that catered to various ethnic communities. 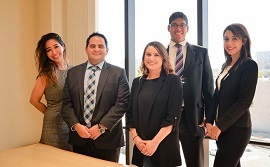 As a student at the University of California, Hastings College of the Law, Ashkan interned at the Supreme Court of California for the Honorable Justice J. Kennard, in addition to serving as an editor for the Hastings Law Journal. After graduation, Ashkan volunteered for a non-profit organization specializing in refuge and asylum--our office steadfastly believes that the right to live in a society free from persecution is a fundamental human right. Do not hesitate to obtain the strong legal advocacy you need and deserve during this crucial time. We work with men and women throughout Southern California and from every walk of life. Let us put our skill to work for you. From the beginning to the end of your case, you will deal directly with Ashkan Yekrangi. You do not need to worry about your case being overlooked or undervalued because you will receive the full attention of a dedicated legal professional with experience and strong client commitment every step of the way. Do not hesitate to contact the Law Office of Ashkan Yekrangi today for your free telephone consultation. Fixed, reasonable fees. Credit cards accepted. Spanish, Mandarin, Farsi (Persian), English, Serbo-Croatian. Translators available upon request. If you are facing immigration issues in Orange County, California, consult the Law Office of Ashkan Yekrangi, who can provide the strong and effective legal advocacy you need to achieve a successful outcome. Ashkan Yekrangi is passionate about immigration. Himself an immigrant, Ashkan understands the American Dream and interacts with each of his clients knowing what it means to become a citizen of the United States of America. There are many hurdles individuals face while either traveling to, or attempting to establish residency in the USA. This may be for a business or tourist visa, or establishing residency for yourself or your loved ones. We are here to help you navigate this confusing process and all aspects of immigration law. Contact the Law Office of Ashkan Yekrangi today. If you are facing immigration issues in Orange County, California, consult the Law Office of Ashkan Yekrangi, who can provide the strong and effective legal advocacy you need to achieve a successful outcome in all asylum matters. If you fear returning to your country of origin because of persecution on account of race, religion, gender, sexual orientation, ethnicity, political opinion or membership in particular social group, contact the Law Office of Ashkan Yekrangi for a free consultation. If you are facing deportation issues in Orange County, California, consult the Law Office of Ashkan Yekrangi, who can provide the strong and effective legal advocacy you need to help avoid the devastating effects of deportation. Deportation threats can be scary and overwhelming. If you received a notice to appear before an immigration court, this means that you are in removal proceedings and you need to immediately begin building your defense with the Law Office of Ashkan Yekrangi. Many reasons for deportation are described in the U.S. Immigration and Nationality Act and the Law Office of Ashkan Yekrangi can assist in your deportation defense. If you are facing immigration issues in Orange County, California, consult the Law Office of Ashkan Yekrangi, who can provide the strong and effective legal advocacy you need to obtain a green card. In the United States of America, a card granting the holder lawful permanent residence is often referred to as a "green card" because it gives that individual the "green light" to stay in the country and to pursue naturalization and citizenship if they desire. At the Law Office of Ashkan Yekrangi, we want to be a part of this momentous step on your journey to fulfilling your American dream. Your immigration story is important to us. Contact us today for a free consultation. If you have made the momentous decision to pursue citizenship in the United States of America, the Law Office of Ashkan Yekrangi would be proud to be a part of your journey. Our office has helped many individuals resolve complex immigration challenges and achieve the means necessary to pursue their goals in America. Let us use our skills to your advantage. Contact the Law Office of Ashkan Yekrangi today. If you are interested in pursuing a visa in the United States, we can help. At the Law Office of Ashkan Yekrangi, we understand that the United States immigration system can be extremely confusing. You may be unsure which visa to apply for. We can help you. There are two different visa categories: immigrant visas and non-immigrant visas. The visa you need depends entirely on your personal goals. Is your intended journey of a temporary or permanent nature? What is the purpose of your trip? Contact the Law Office of Ashkan Yekrangi for a free consultation. Our firm does not treat your case like another file. We understand this is your livelihood and we are passionate about resolving your immigration issues. Your success is our success. We do not hand over your file to paralegal. 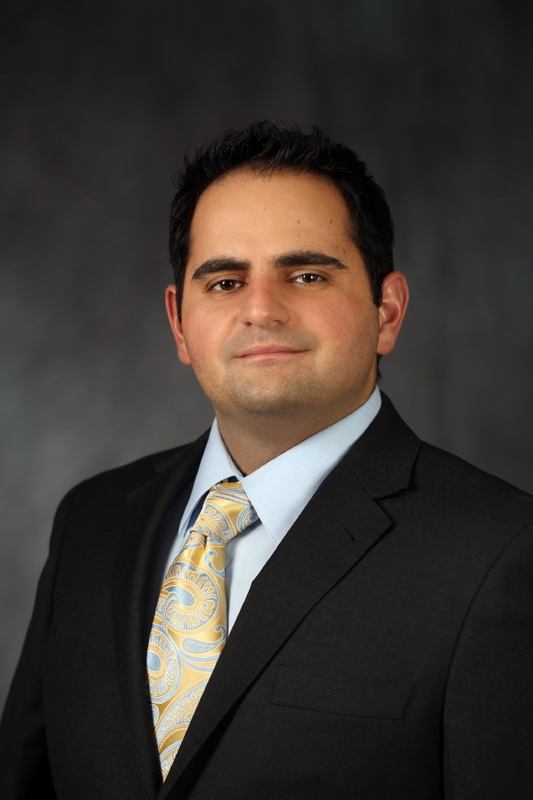 You will have direct access to attorneys, including Ashkan Yekrangi himself. Ashkan Yekrangi is passionate about immigration. Himself an immigrant, Ashkan understands the American Dream and interacts with each of his clients knowing what it means to become a citizen of the United States of America. There are many hurdles individuals face while either traveling to, or attempting to establish residency in the USA. This may be for a business or tourist visa, or establishing residency for yourself or your loved ones. We are here to help you navigate this confusing process. Ashkan attended the University of California, Irvine, earning a bachelor's degree in International Studies. As an undergraduate student, Ashkan owned a business that catered to various ethnic communities. As a student at the University of California, Hastings College of the Law, Ashkan interned at the Supreme Court of California for the Honorable Justice J. Kennard, in addition to serving as an editor for the Hastings Law Journal. After graduation, Ashkan volunteered for a non-profit organization specializing in asylum and refuge--The Law Office of Ashkan Yekrangi steadfastly believes that the right to live in a society free from persecution is a fundamental human right. There are many immigration attorneys practicing in Orange County. Our office distinguishes itself by our commitment to excellence and personal attention to each of our clients' needs. Call us today for a free consultation. Lahaina was born to an immigrant family; thus, her passion for immigration law is deeply personal. Her experiences have created and fostered an innate passion to work on behalf of the immigrant community. She is eager to help the cityÃ¢ÂÂs residents in a rapidly changing and daunting legal environment. She will navigate the complexity of these laws and access their full benefits, while simultaneously being a compassionate and accessible attorney. In law school, she participated in the immigrant justice practicum and served as a volunteer with several nonprofit agencies. She graduated from Loyola Law School, in Los Angeles, in 2012. Immediately after law school, she worked for an immigration impact litigation nonprofit and then as an immigration solo practitioner.